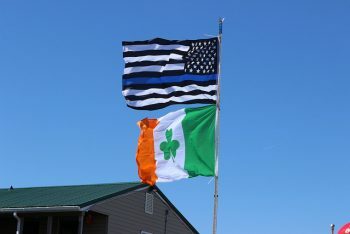 OCEAN CITY, MD – (March 12, 2019): The Ocean City Police Department is reminding citizens to expect traffic delays this St. Patrick’s Day weekend, as the Delmarva Irish-American Club host their Annual St. Patrick’s Day Parade and Festival. The tradition, which has become the second largest St. Patrick’s Day parades in Maryland, will take place on Saturday, March 16, 2019. The parade begins at 12 noon at 57th Street and marches south on Coastal Highway to the 45th Street Shopping Center. In order to offer an ample amount of space for the parade’s participating floats, bands and motorized units, southbound traffic with be reduced to one lane from 63rd Street to 43rd Street. Northbound traffic will remain open, however, no left turns or U-turns will be allowed along the parade route from the northbound lane including 62nd Street. Residents and visitors will see traffic delays on southbound Coastal Highway as early as 9 a.m. and should expect congestion until after 2 p.m. To avoid traffic delays, viewers and visitors are urged to arrive before 10:30 a.m. Ocean City Police are recommending motorists entering the Town of Ocean City use Maryland Route 50, as traffic is not expected to be as heavy in the south end of town. In addition, heavy pedestrian traffic is also expected along the parade route and in surrounding areas. Pedestrians are encouraged to use crosswalks and cross with caution.